The Island Jewel Inn appreciates the educated pallet of the modern traveller and we encourage our guest to experience the gastronomic delights that await them on the island. Our restaurant can provide breakfast and short order meals until late and on selected nights can provide full meals for those who do not want to eat out all the time. 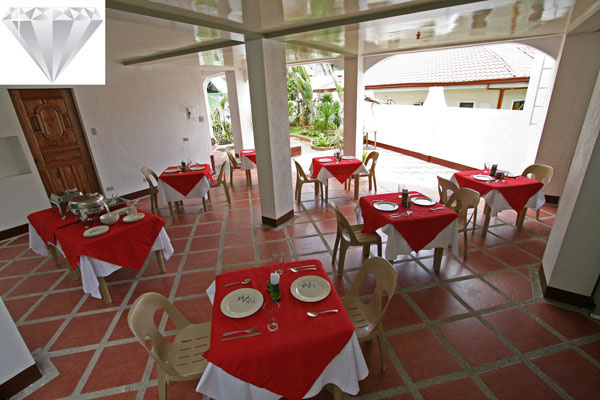 Dining out in Boracay has to be experienced to be believed. The quality of many restaurants is of Parisian standard and the variety encircles the globe. European Delicatessens (some with quiet dining areas in the garden). Korean Restaurants (for the adventurous or the not so). Japanese Restaurants (for authentic sushi). Italian Restaurants (if your pallet yearns for Pizza). Spanish Restaurants (for the Tapas aficionado). Greek Restaurants (Do plates break on the sand?). Filipino Restaurants (When in Rome etc. etc.). German Restaurants (with a lot more than you think). Mexican Restaurants (for those who like it hot). Indian Restaurants (to spice up the evening). English Restaurants (for pies and fry’s plus much more). International Restaurants (by the score).